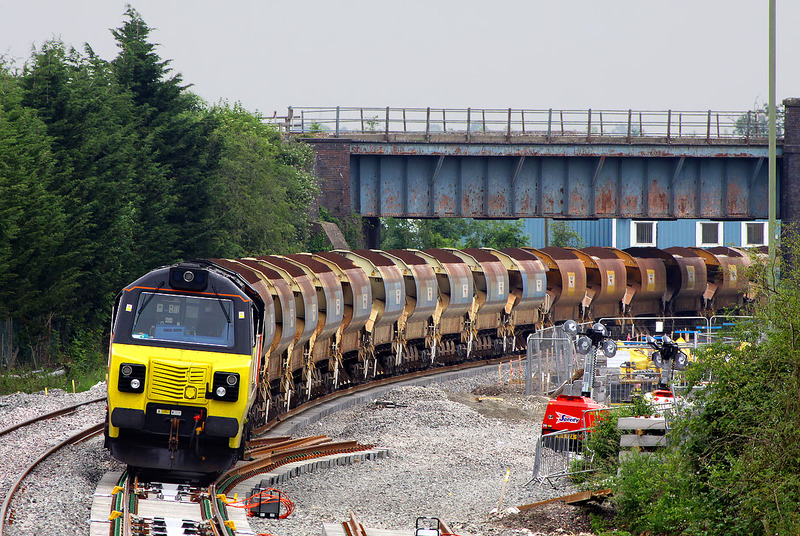 With engine shut down, 70802 stands on the new trackwork at Gavray Junction, Bicester, on 19 June 2014 with a train of ballast hoppers. The point for the new junction, which will link the Oxford to Bletchley line (on the left), with the Marylebone to Banbury line (across the bridge), is right underneath the loco. Photo taken from a recently installed (an locally controversial) footbridge.